Google is hosting its big cloud conference, Google Cloud Next, this morning over at the Moscone center in San Francisco. 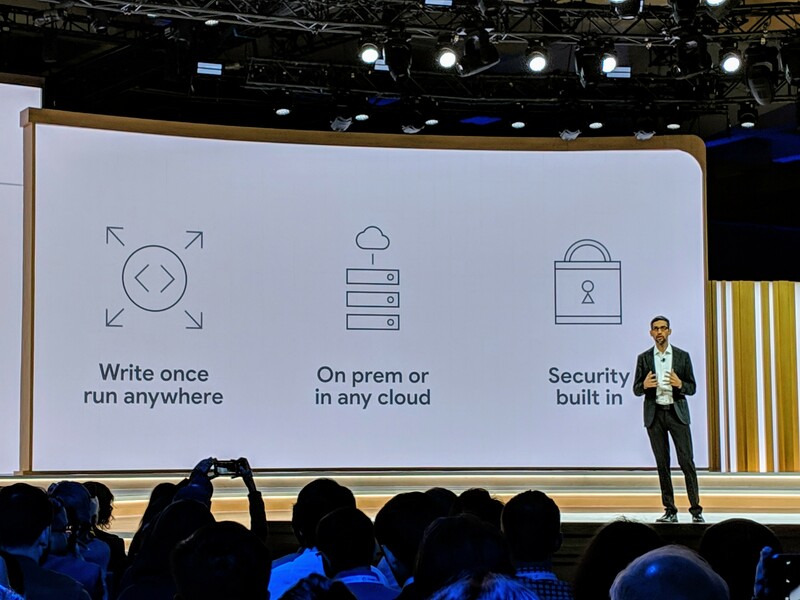 Obviously it’s not quite as large as its flagship event I/O earlier this year, but Google’s cloud efforts have become one of its brightest points over the past several quarters. With heavy investments in Google Cloud’s infrastructure, its enterprise services, as well as a suite of machine learning tools layered on top of all that, Google is clearly trying to make Google Cloud a core piece of its business going forward. Traditionally an advertising juggernaut, Google is now figuring out what comes next after that, even as that advertising business continues to grow at a very healthy clip. The keynote starts at 9 a.m. Pacific time, and the TechCrunch team is on the ground here covering all the newsiest and best bits. Be sure to check out our full coverage on TechCrunch as the keynote moves forward.